Poke’Mon Go is a new sensation. Just launched on July 6, the app is already the #1 app in the world – and it isn’t even available in most countries. In less than 2 weeks, from a standing start, Nintendo’s new app is more popular than both Facebook and Snapchat. Based on this success, Nintendo’s equity valuation has jumped 90% in this same short time period. Some think this is just a fad, after all it is just 2 weeks old. Candy Crush came along and it seemed really popular. But after initial growth its user base stalled and the valuation fell by about 50% as growth in users, time on app and income all fell short of expectations. And, isn’t the world of gaming dominated by the likes of Sony and Microsoft? Nintendo launched the Wii in 2006 and it was a sensation. Gamers could do things not previously possible. Unit sales exceeded 20m units/year for 2006 through 2009. But Sony (PS4) and Microsoft (Xbox) both powered up their game consoles and started taking share from Nintendo. By 2011 Nintendo sale were down to 11.6m units, and in 2012 sales were off another 50%. The Wii console was losing relevance as competitors thrived. Sony and Microsoft both invested heavily in their competition. Even though both were unprofitable at the business, neither was ready to concede the market. In fall, 2014 Microsoft raised the competitive ante, spending $2.5B to buy the maker of popular game Minecraft. Nintendo was becoming a market afterthought. Meanwhile, back in 2009 Nintendo had 70% of the handheld gaming market with its 3DS product. But people started carrying the more versatile smartphones that could talk, text, email, execute endless apps and even had a lot of games – like Tetrus. The market for handheld games pretty much disappeared, dealing Nintendo another blow. Fortunately, the bitter “fight to the death” war between Sony and Microsoft kept both focused on their historical game console business. Both kept investing in making the consoles more powerful, with more features, supporting more intense, lifelike games. Microsoft went so far as to implement in Windows 10 the capability for games to be played on Xbox and PCs, even though the PC gaming market had not grown in years. These massive investments were intended to defend their installed base of users, and extend the platform to attract new growth to the traditional, nearly 4 decade old market of game consoles that extends all the way back to Atari. 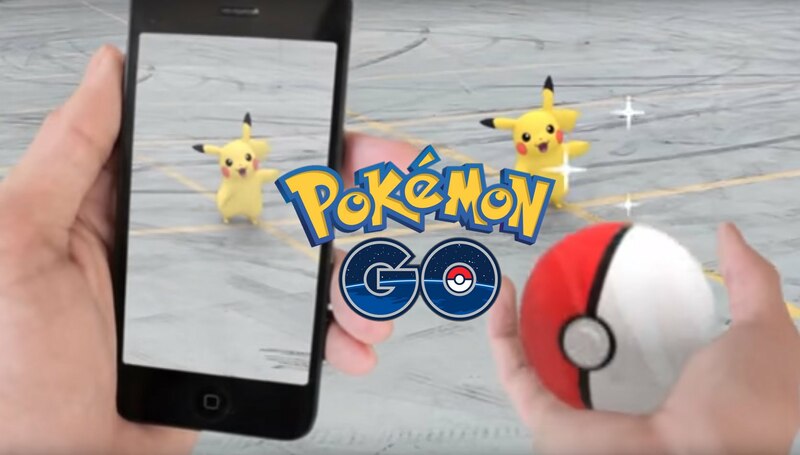 Both companies did little to address the growing market for mobile gaming. The limited power of mobile devices, and the small screens and poor sound systems made mobile seem like a poor platform for “serious gaming.” While game apps did come out, these were seen as extremely limited and poor quality, not at all competitive to the Sony or Microsoft products. Yes, theoretically Windows 10 would make gaming possible on a Microsoft phone. But the company was not putting investment there. Mobile gaming was simply not serious, and not of interest to the two Goliaths slugging it out for market share. Back in 2014 I recognized that the console gladiator war was not good for either big company, and recommended Microsoft exit the market. Possibly seeing if Nintendo would take the business in order to remove the cash drain and distraction from Microsoft. Fortunately for Nintendo, that did not happen. Nintendo observed the ongoing growth in mobile gaming. While Candy Crush may have been a game ignored by serious gamers, it nonetheless developed a big market of users who loved the product. Clearly this demonstrated there was an under-served market for mobile gaming. The mobile trend was real, and it’s gaming needs were unmet. Simultaneously Nintendo recognized the trend to social. People wanted to play games with other people. 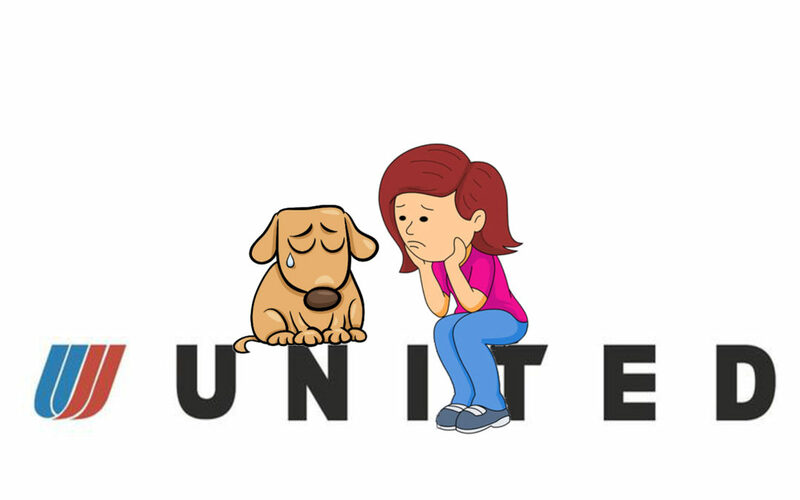 And, if possible, the game could bring people together. Even people who don’t know each other. Rather than playing with unseen people located anywhere on the globe, in a pre-organized competition, as console games provided, why not combine the social media elements of connecting with those around you to play a game? Make it both mobile, and social. And the basics of Poke’Mon Go were born. Then, build out the financial model. Don’t charge to play the game. But once people are in the game charge for in-game elements to help them be more successful. Just as Facebook did in its wildly successful social media game Farmville. The more people enjoyed meeting other people through the game, and the more they played, the more they would buy in-app, or in-game, elements. The social media aspect would keep them wanting to stay connected, and the game is the tool for remaining connected. So you use mobile to connect with vastly more people and draw them together, then social to keep them playing – and spending money. Nintendo recognized that the under-served mobile gaming market is vastly larger than the overserved console market. Those console gamers have ever more powerful machines, but they are in some ways over-served by all that power. Games do so much that many people simply don’t want to take the time to learn the games, or invest in playing them sitting in a home or office. For many people who never became serious gaming hobbyists, the learning and intensity of serious gaming simply left them with little interest. But almost everyone has a mobile phone. And almost everyone does some form of social media. And almost everyone enjoys a good game. Give them the right game, built on trends, to catch their attention and the number of potential customers is – literally – in the billions. And all they have to do is download the app. No expensive up-front cost, not much learning, and lots of fun. And thus in two weeks you have millions of new users. Some are traditional gamers. But many are people who would never be a serious gamer – they don’t want a new console or new complicated game. People of all ages and backgrounds could become immediate customers. In the Biblical story, smallish David beat the giant Goliath by using a sling. His new technology allowed him to compete from far enough away that Goliath couldn’t reach David. And David’s tool allowed for delivering a fatal blow without ever touching the giant. The trend toward using tools for hunting and fighting allowed the younger, smaller competitor to beat the incumbent giant. In business trends are just as important. Any competitor can study trends, see what people want, and then expand their thinking to discover a new way to compete. Nintendo lost the console war, and there was little value in spending vast sums to compete with Sony and Microsoft toe-to-toe. Nintendo saw the mobile game market disintegrate as smartphones emerged. It could have become a footnote in history. But, instead Nintendo’s leaders built on trends to deliver a product that filled an unmet need – a game that was mobile and social. By meeting that need Nintendo has avoided direct competition, and found a way to dramatically grow its revenues. This is a story about how any competitor can succeed, if they learn how to leverage trends to bring out new products for under-served customers, and avoid costly gladiator competition trying to defend and extend past products. USAToday alerted investors that when Sears Holdings reports results 2/25/16 they will be horrible. Revenues down another 8.7% vs. last year. Same store sales down 7.1%. To deal with ongoing losses the company plans to close another 50 stores, and sell another $300million of assets. For most investors, employees and suppliers this report could easily be confused with many others the last few years, as the story is always the same. Back in January, 2014 CNBC headlined “Tracking the Slow Death of an Icon” as it listed all the things that went wrong for Sears in 2013 – and they have not changed two years later. 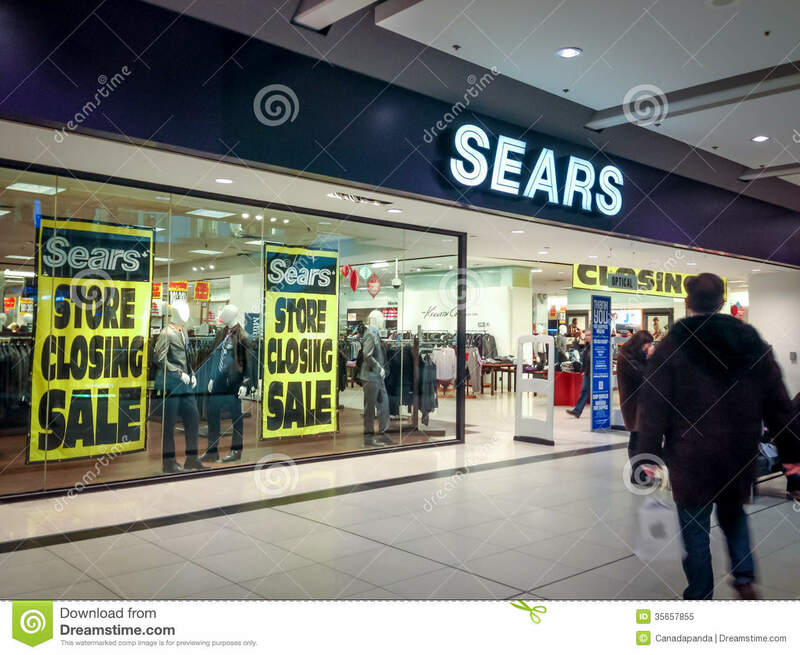 The brand is now so tarnished that Sears Holdings is writing down the value of the Sears name by another $200million – reducing intangible value from the $4B at origination in 2004 to under $2B. This has been quite the fall for Sears. When Chairman Ed Lampert fashioned the deal that had formerly bankrupt Kmart buying Sears in November, 2004 the company was valued at $11billion and 3,500 stores. Today the company is valued at $1.6billion (a decline of over 85%) and according to Reuters has just under 1,700 stores (a decline of 51%.) According to Bloomberg almost no analysts cover SHLD these days, but one who does (Greg Melich at Evercore ISI) says the company is no longer a viable business, and expects bankruptcy. Long-term Sears investors have suffered a horrible loss. When I started business school in 1980 finance Professor Bill Fruhan introduced me to a concept that had never before occurred to me. Value Destruction. Through case analysis the good professor taught us that leadership could make decisions that increased company valuation. Or, they could make decisions that destroyed shareholder value. As obvious as this seems, at the time I could not imagine CEOs and their teams destroying shareholder value. It seemed anathema to the entire concept of business education. Yet, he quickly made it clear how easily misguided leaders could create really bad outcomes that seriously damaged investors. 1 – Micro-management in lieu of strategy. Mr. Lampert has been merciless in his tenacity to manage every detail at Sears. Daily morning phone calls with staff, and ridiculously tight controls that eliminate decision making by anyone other than the top officers. Additionally, every decision by the officers was questioned again and again. Explanations took precedent over action as micro-management ate up management’s time, rather than trying to run a successful company. While store employees and low- to mid-level managers could see competition – both traditional and on-line – eating away at Sears customers and core sales, they were helpless to do anything about it. Instead they were forced to follow orders given by people completely out of touch with retail trends and customer needs. Whatever chance Sears and Kmart had to grow the chain against intense competition it was lost by the Chairman’s need to micro-manage. 2 – Manage-by-the-numbers rather than trends. Mr. Lampert was a finance expert and former analyst turned hedge fund manager and investor. He truly believed that if he had enough numbers, and he studied them long enough, company success would ensue. Unfortunately, trends often are not reflected in “the numbers” until it is far, far too late to react. The trend to stores that were cleaner, and more hip with classier goods goes back before Lampert’s era, but he completely missed the trend that drove up sales at Target, H&M and even Kohl’s because he could not see that trend reflected in category sales or cost ratios. Merchandising – from buying to store layout and shelf positioning – are skills that go beyond numerical analysis but are critical to retail success. Additionally, the trend to on-line shopping goes back 20 years, but the direct impact on store sales was not obvious until customers had long ago converted. By focusing on numbers, rather than trends, Sears was constantly reacting rather than being proactive, and thus constantly retreating, cutting stores and cutting product lines. 3 – Seeking confirmation rather than disagreement. Mr. Lampert had no time for staff who did not see things his way. Mr. Lampert wanted his management team to agree with him – to confirm his Beliefs, Interpretations, Assumptions and Strategies — to believe his BIAS. By seeking managers who would confirm his views, and execute, rather than disagree Mr. Lampert had no one offering alternative data, interpretations, strategies or tactics. And, as Mr. Lampert’s plans kept faltering it led to a revolving door of managers. Leaders came and went in a year or two, blamed for failures that originated at the Chairman’s doorstep. By forcing agreement, rather than disagreement and dialogue, Sears lacked options or alternatives, and the company had no chance of turning around. 4 – Holding assets too long. In 2004 Sears had a LOT of assets. Many that could likely be redeployed at a gain for shareholders. Sears had many owned and leased store locations that were highly valuable with real estate prices climbing from then through 2008. But Mr. Lampert did not spin out that real estate in a REIT, capturing the value for SHLD shareholders while the timing was good. Instead he held those assets as real estate in general plummeted, and as retail real estate fell even further as more revenue shifted to e-commerce. By the time he was ready to sell his REIT much of the value was depleted. Additionally, Sears had great brands in 2004. DieHard batteries, Craftsman tools, Kenmore appliances and Lands End apparel were just 4 household brands that still had high customer appeal and tremendous value. Mr. Lampert could have sold those brands to another retailer (such as selling DieHard to WalMart, for example) as their house brands, capturing that value. Or he could have mass marketd the brand beyond the Sears store to increase sales and value. Or he could have taken one or more brands on-line as a product leader and “category killer” for ecommerce customers. But he did not act on those options, and as Sears and Kmart stores faded, so did these brands – which largely no longer have any value. Had he sold when value was high there were profits to be made for investors. 5 – Hubris – unfailingly believing in oneself regardless the outcomes. In May, 2012 I wrote that Mr. Lampert was the 2nd worst CEO in America and should fire himself. This was not a comment made in jest. His initial plans had all panned out very badly, and he had no strategy for a turnaround. All results, from all programs implemented during his reign as Chairman had ended badly. Yet, despite these terrible numbers Mr. Lampert refused to recognize he was the wrong person in the wrong job. While it wasn’t clear if anyone could turn around the problems at Sears at such a late date, it was clear Mr. Lampert was not the person to do it. If Mr. Lampert had been as self-analytical as he was critical of others he would have long before replaced himself as the leader at Sears. But hubris would not allow him to do this, he remained blind to his own failings and the terrible outcome of a failed company was pretty much sealed. From $11B valuation and a $92/share stock price at time of merging KMart and Sears, to a $1.6B valuation and a $15/share stock price. A loss of $9.4B (that’s BILLION DOLLARS). That is amazing value destruction. In a world where employees are fired every day for making mistakes that cost $1,000, $100 or even $10 it is a staggering loss created by Mr. Lampert. At the very least we should learn from his mistakes in order to educate better, value creating leaders. 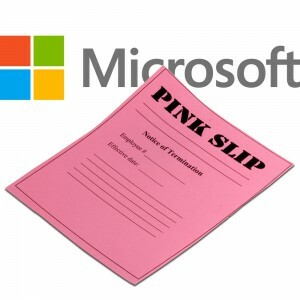 Microsoft announced today it was going to shut down the Nokia phone unit, take a $7.6B write-off (more than the $7.2B they paid for it,) and lay off another 7,800 employees. That makes the layoffs since CEO Nadella took the reigns almost 26,000. Finding any good news in this announcement is a very difficult task. Unfortunately, since taking over as Microsoft’s #1 leader, Mr. Nadella has been remarkably predictable. Like his peer CEOs who take on the new role, he has slashed and burned employment, shut down at least one big business, taken massive write-offs, and undertaken at least one wildly overpriced acquisition (Minecraft) that is supposed to be a game changer for the company. He apparently picked up the “Turnaround CEO Playbook” after receiving the job and set out on the big tasks! Yet he still has not put forward a strategy that should encourage investors, employees, customers or suppliers that the company will remain relevant long-term. Amidst all these big tactical actions, it is completely unclear what the strategy is to remain a viable company as customers move, quickly and in droves, to mobile devices using competitive products. I predicted here in this blog the week Steve Ballmer announced the acquisition of Nokia in September, 2013 that it was “a $7.2B mistake.” I was off, because in addition to all the losses and restructuring costs Microsoft endured the last 7 quarters, the write off is $7.6B. Oops. Why was I so sure it would be a mistake? Because between 2011 and 2013 Nokia had already lost half its market share. CEO Elop, who was previously a Microsoft senior executive, had committed Nokia completely to Windows phones, and the results were already catastrophic. Changing ownership was not going to change the trajectory of Nokia sales. Microsoft had failed to build any sort of developer community for Windows 8 mobile. Developers need people holding devices to buy their software. Nokia had less than 5% share. Why would any developer build an app for a Windows phone, when almost the entire market was iOS or Android? In fact, it was clear that developing rev 2, 3, and 4 of an app for the major platforms was far more valuable than even bothering to port an app into Windows 8. Nokia and Windows 8 had the worst kind of tortuous whirlpool – no users, so no developers, and without new (and actually unique) software there was nothing to attract new users. Microsoft mobile simply wasn’t even in the game – and had no hope of winning. It was already clear in June, 2012 that the new Windows tablet – Surface – was being launched with a distinct lack of apps to challenge incumbents Apple and Samsung. By January, 2013 it was also clear that Microsoft was in a huge amount of trouble. Where just a few years before there were 50 Microsoft-based machines sold for every competitive machine, by 2013 that had shifted to 2 for 1. People were not buying new PCs, but they were buying mobile devices by the shipload – literally. And there was no doubt that Windows 8 had missed the mobile market. Trying too hard to be the old Windows while trying to be something new made the product something few wanted – and certainly not a game changer. A year ago I wrote that Microsoft has to win the war for developers, or nothing else matters. When everyone used a PC it seemed that all developers were writing applications for PCs. But the world shifted. PC developers still existed, but they were not able to grow sales. The developers making all the money were the ones writing for iOS and Android. The growth was all in mobile, and Microsoft had nothing in the game. Meanwhile, Apple and IBM were joining forces to further displace laptops with iPads in commercial/enterprise uses. Then we heard Windows 10 would change all of that. And flocks of people wrote me that a hybrid machine, both PC and tablet, was the tool everyone wanted. Only we continue to see that the market is wildly indifferent to Windows 10 and hybrids. Imagine you write with a fountain pen – as most people did 70 years ago. Then one day you are given a ball point pen. This is far easier to use, and accomplishes most of what you want. No, it won’t make the florid lines and majestic sweeps of a fountain pen, but wow it is a whole lot easier and a darn site cheaper. So you keep the fountain pen for some uses, but mostly start using the ball point pen. And we’re up to Surface 3 now. When I pointed out in January, 2013 that the markets were rapidly moving away from Microsoft I predicted Surface and Surface Pro would never be important products. Reader outcry at that time from Microsoft devotees was so great that Forbes editors called me on the carpet and told me I lacked the data to make such a bold prediction. But I stuck by my guns, we changed some language so it was less blunt, and the article ran. Two and a half years later and we’re up to rev number Surface 3. And still, almost nobody is using the product. Less than 5% market share. Right again. It wasn’t a technology prediction, it was a market prediction. Lacking app developers, and a unique use, the competition was, and remains, simply too far out front. Windows 10 is, unfortunately, a very expensive launch. And to get people to use it Microsoft is giving it away for free. The hope is then users will hook onto the cloud-based Office 365 and Microsoft’s Azure cloud services. But this is still trying to milk the same old cow. This approach relies on people being completely unwilling to give up using Windows and/or Office. And we see every day that millions of people are finding alternatives they like just fine, thank you very much. Gamers hated me when I recommended Microsoft should give (for free) xBox to Nintendo. Unfortunately, I learned few gamers know much about P&Ls. They all assumed Microsoft made a fortune in gaming. But anyone who’s ever looked at Microsoft’s financial filings knows that the Entertainment Division, including xBox, has been a giant money-sucking hole. If they gave it away it would save money, and possibly help leadership figure out a strategy for profitable growth. Unfortunately, Microsoft bought Minecraft, in effect “doubling down” on the bet. But regardless of how well anyone likes the products, Microsoft is not making money. Gaming is a bloody war where Sony and Microsoft keep battling, and keep losing billions of dollars. The odds of ever earning back the $2.5B spent on Minecraft is remote. The greater likelihood is that as write offs continue to eat away at profits, and as markets continue evolving toward mobile products offered by competitors hurting “core” Microsoft sales, CEO Nadella will eventually have to give up on gaming and undertake another Nokia-like event. All investors risk looking at current events to drive decision-making. When Ballmer was sacked and Nadella given the CEO job the stock jumped on euphoria. But the last 18 months have shown just how bad things are for Microsoft. It is a near monopolist in a market that is shrinking. And so far Mr. Nadella has failed to define a strategy that will make Microsoft into a company that does more than try to milk its heritage. 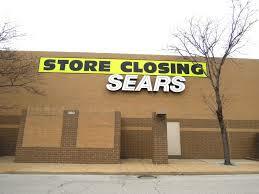 I said the giant retailer Sears Holdings would be a big loser the day Ed Lampert took control of the company. But hope sprung eternal, and investors jumped on the Sears bandwagon, believing a new CEO would magically improve a worn out, locked-in company. The stock went up for over 2 years. But, eventually, it became clear that Sears is irrelevant and the share price increase was unjustified. And the stock tanked. Microsoft looks much the same. The actions we see are attempts to defend & extend a gloried history. But they don’t add up to a strategy to compete for the future. HoloLens will not be a product capable of replacing Windows plus Office revenues. If developers are attracted to it enough to start writing apps. Cortana is cool, but it is not first. And competitive products have so much greater usage that developer learning curve gains are wildly faster. These products are not game changers. They don’t solve large, unmet needs. And employees see this. As I wrote in my last column, it is valuable to listen to employees. As the bloom fell off the rose, and Nadella started laying people off while freezing pay, employee support of him declined dramatically. And employee faith in leadership is far lower than at competitors Apple and Google. As long as Microsoft keeps playing catch up, we should expect more layoffs, cost cutting and asset sales. And attempts at more “hail Mary” acquisitions intended to change the company. All of which will do nothing to grow customers, provide better jobs for employees, create value for investors or greater revenue opportunities for suppliers. The Economic Policy Institute issued its most recent report on CEO pay yesterday, and the title makes the point clearly “Top CEOs Make 300 Times More than Typical Workers.” CEOs of the 350 largest US public companies now average $16,300,000 in compensation, while typical workers average about $53,000. Actually, it is kind of remarkable that this stat keeps grabbing attention. The 300 multiple has been around since 1998. The gap actually peaked in 2000 at almost 376. There has been whipsawing, but it has averaged right around 300 for 15 years. The big change happened in the 1990s. In 1965 the multiple was 20, and by 1978 it had risen only to 30. The next decade, going into 1990 saw the multiple rise to 60. But then from 1990 to 2000 it jumped from 60 to well over 300 – where it has averaged since. So it was long ago that large company CEO pay made its huge gains, and it such compensation has now become the norm. But this does rile some folks. After all, when a hired CEO makes more in a single workday (based on 5 day week) than the worker does in an entire year, justification does become a bit difficult. And when we recognize that this has happened in just one generation it is a sea change. If average workers are angry, and some investors are angry, and politicians are increasingly speaking negatively about the topic why does CEO pay remain so high? CEOs are like kings. They aren’t elected to their position, they are appointed. Usually after several years of grueling internecine political warfare, back-stabbing colleagues and gerrymandering the organization. Once in the position, they pretty much get to set their own pay. Who can change the pay? Ostensibly the Board of Directors. But who makes up most Boards? CEOs (and former CEOs). It doesn’t do any Board member’s reputation any good with his peers to try and cut CEO pay. You certainly don’t want your objection to “Joe’s” pay coming up when its time to set your pay. Honestly, if you could set your own pay what would it be? I reckon most folks would take as much as they could get. Nice joke, until you apply it to CEOs. The top 350 CEOs are accomplished individuals. Which 175 are above average, and which 175 are below average? Honestly, how does a Board judge? Who has the ability to determine if a specific CEO is above average, or below average? The Board agrees to this logic, since they think the CEO is doing a good job (otherwise they would fire him.) So they step up his, or her, pay. This then pushes up the average. And every year this process is repeated, pushing pay higher and higher and higher. Oh, and if you replace a CEO then the new person certainly is not going to take the job for below-average compensation. They are expected to do great things, so they must be brought in with compensation that is up toward the top. The recruiters will assure the Board that finding the right CEO is challenging, and they must “pay up” to obtain the “right talent.” Again, driving up the average. Today’s large corporations hire consultants to evaluate CEO performance, and design “pay for performance” compensation packages. These are then reviewed by external lawyers for their legality. And by investment bankers for their acceptability to investors. These outside parties render opinions as to the CEO’s performance, and pay package, and overall pay given. Unfortunately, these folks are hired by the CEO and his Board to render these opinions. Meaning, the person they judge is the one who pays them. Not the employees, not a company union, not an investor group and not government regulators. They are hired and paid by the people they are judging. Thus, this becomes something akin to an old fashioned King’s Court. Who is in the Boardroom that gains if they object to the CEO pay package? If the CEO selects the Board (and they do, because investors, employees and regulators certainly don’t) and then they collectively hire an outside expert, does anyone in the room want that expert to say the CEO is overpaid? The famed newsman Robert Krulwich identified executive compensation as an issue in the 1980s. He pointed out that there were no “brakes” on executive compensation. There is no outside body that could actually influence CEO pay. He predicted that it would rise dramatically. He was right. The only apparent brake would be government regulation. But that is a tough sell. Do Americans want Congress, or government bureaucrats, determining compensation for anyone? Americans can’t even hardly agree on a whether there should be a minimum wage at all, much less where it should be set. Rancor against executive compensation may be high, but it is a firecracker compared to the atomic bomb that would be detonated should the government involve itself in setting executive pay. Not to mention that since the Supreme Court ruling in the case of Citizens United made it possible for companies to invest heavily in elections, it would be hard to imagine how much company money large company CEOs would spend on lobbying to make sure no such regulation was ever passed. How far can CEO pay rise? We recently learned that Jamie Dimon, CEO of JPMorganChase, has amassed a net worth of $1.1B. It increasingly looks like there may not be a limit. Hewlett Packard yesterday announced second quarter results. And they were undoubtedly terrible. Revenue compared to a year ago is down 7%, net income is down 21% as the growth stall at HP continues. Yet, CEO Meg Whitman remains upbeat. She is pleased with “the continued success of our turnaround.” Which is good, because nobody else is. Rather than making new products and offering new solutions, HP has become a company that does little more than constantly restructure! This latest effort, led by CEO Whitman, has been a split of the company into two corporations. For “strategic” (red flag) reasons, HP is dividing into a software company and a hardware company so that each can “focus” (second red flag) on its “core market” (third red flag.) But there seems to be absolutely no benefit to this other than creating confusion. This latest restructuring is incredibly expensive. $1.8billion in restructuring charges, $1billion in incremental taxes, $400million annually in duplicated overhead services, then another $3billion in separation charges across the two new companies. That’s over $5B – which is more than HP’s net income in 2014 and 2013. There is no way this is a win for investors. Additionally, HP has eliminated 48,000 jobs this this latest restructuring began in 2012. And the total will reach 55,000. So this is clearly not a win for employees. The old HP will now be a hardware company, focused on PCs and printers. Both of which are declining markets as the world goes mobile. This is like the newspaper part of a media company during a split. An old business in serious decline with no clear path to sustainable sales and profits – much less growth. And in HP’s case it will be in a dog-eat-dog competitive battle to try and keep customers against Dell, Acer and Lenovo. Prices will keep dropping, and profits eroding as the world goes mobile. But despite spending $1.2billion to buy Palm (written off,) without any R&D, hard to see how this company returns profits to shareholders, generates new jobs, or launches new products for distributors and customers. The new HP will be a software company. But it comes to market with almost no share against monster market leader Amazon, and competitors Microsoft and Cisco who are fighting to remain relevant. Even though HP spent $10B to buy ERP company Autonomy (written off) everyone has newer products, more innovation, more customers and more resources than HP. Together there was faint hope for HP. The company could offer complete solutions. It could work with its distributors and value added resellers to develop unique vertical market solutions. 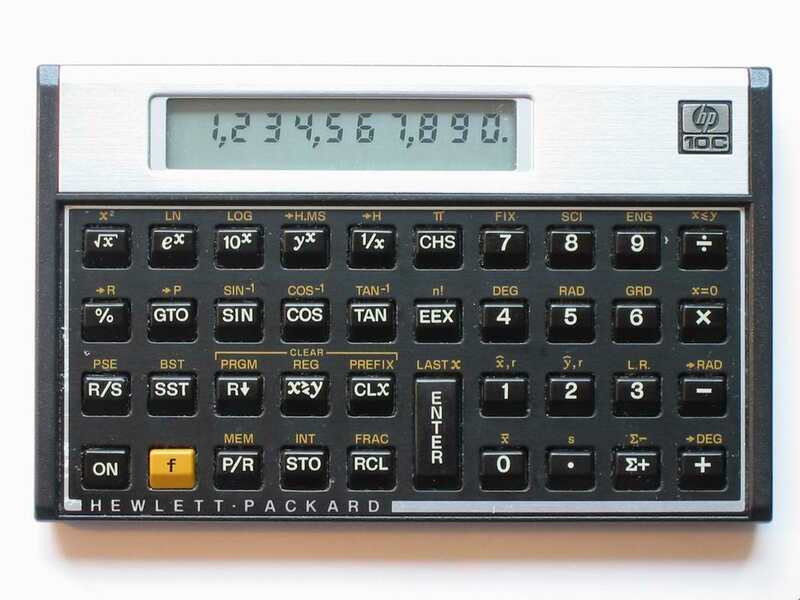 By tweaking the various parts, hardware and software, HP had the possibility of building solutions that could justify premium prices and possibly create growth. But separated, these are now 2 “focused” companies that lack any new innovations, sell commodity products and lack enough share to matter in markets where share leads to winning developers and enterprise customers. This may be the last stop for investors, and employees, to escape HP before things get a lot worse. HP was the company that founded silicon valley. It was the tech place to work in the 1960s, 1970s and early 1980s. It was the Google, Facebook or Apple of that earlier time. When Carly Fiorina took over the dynamic and highly new product driven company in July, 1999 it was worth $45/share. She bought Compaq and flung HP into the commodity PC business, cutting new products and R&D. By the time the Board threw her out in 2005 the company was worth $35/share. Mark Hurd took the CEO job, and he slashed and burned everything in sight. R&D was almost eliminated, as was new product development. If it could be outsourced, it was. And he whacked thousands of jobs. By killing any hope of growing the company, he improved the bottom line and got the stock back to $45. Which is where it was 5 years ago today. But now HP is worth $35/share, once again. For investors, it’s been 25 years of up, down and sideways. The last 5 years the DJIA went up 80%; HP down 24%. Companies cannot add value unless they develop new products, new solutions, new markets and grow. Restructuring after restructuring adds no value – as HP has demonstrated. For long-term investors, this is a painful lesson to learn. Let’s hope folks are getting the message loud and clear now. This week marks the 6th anniversary of the stock market’s bull run, with the S&P up 206%. Only 3 other times since WWII have equities had such a prolonged, sustained growth series. Simultaneously, last week saw yet another month with over 200,000 non-farm jobs created, making the current rate of jobs growth the best in 15 years. And, in a move that has taken some by surprise, the U.S. dollar is hitting highs against foreign currencies that have not been seen in over 12 years. It is a rare economic trifecta, and demonstrates America is doing better than all other developed countries. It seemed an appropriate time to re-interview Bob Deitrick, Managing Director of Polaris Financial Partners, and author of “Bulls, Bears and the Ballot Box” to obtain his take on the economy. Mr. Deitrick’s book reviewed America’s economic performance under each President since the creation of the Federal Reserve, and in direct opposition to conventional wisdom concluded presidents from the Democratic party were better economic stewards than Republican presidents. When published in 2012 Mr. Deitrick predicted that the economy would continue to do well under President Obama, and so far he’s been proven correct. AH: Since we discussed “Obama’s Miracle Market” in January, 2014 stocks have continued to rise. Has this bull run surprised you, and do you think it will continue? Bob Deitrick: No it has not surprised us. 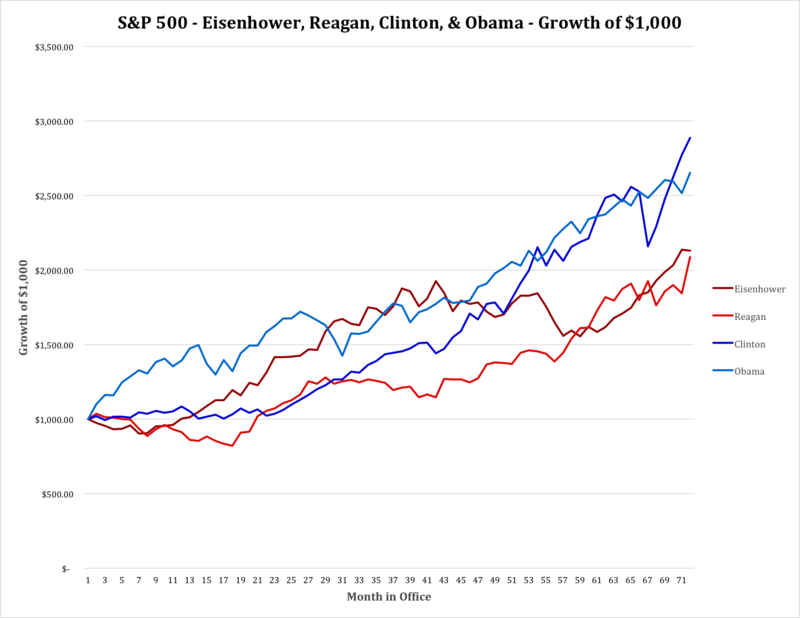 Looking across history since Hoover, Democrats in the White House have generally presided over good stock market gains. 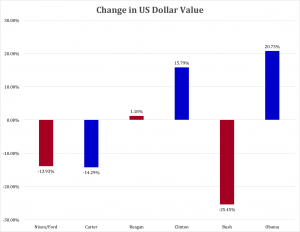 Since Clinton was elected, Democratic administrations have done remarkably well, with both Clinton and Obama outperforming the best Republican presidents which were Eisenhower and Reagan. Looking at the S&P 500, Clinton and Obama have performed about the same with about a 17% annual rate of return through the first 62 months of office. Which is 70% better than the approximate 10% return of Republicans. It is worth noting that when we take a broader gauge of equities (which we used in the book,) including the more volatile NASDAQ index and the highly selective Dow Jones Industrial Average, then the market’s performance during the Obama administration is unchallenged. The last 6 years generated compound annual returns of 22.5% (including dividend reinvestment) which is the best improvement in equities of all time. It is also worth noting that the collapse of equities has happened 3 times since 1900, and all under Republican administrations – Hoover, Nixon/Ford, Bush 43. 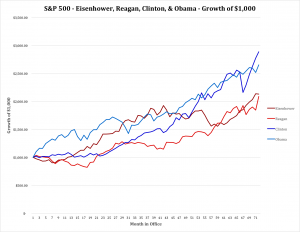 Even Carter had a rising equities market, and the Clinton + Obama years were unparalleled. We agree with many other analysts that this bull market is not complete. We think the stock markets are only at the half way point in a secular bull cycle which will last, in total, 8 to 12 years. AH: It was 6 months ago when you pointed out that President Obama outperformed President Reagan on jobs growth. At that time there were many, many naysayers. Yet, August’s numbers were later revised upward to over 200,000 and every month since has continued with strong jobs growth – some nearly 300,000. Are you surprised by the strength in jobs creation, and do you think it will stall? Bob Deitrick: Both Reagan and Obama inherited a bad jobs marketplace. Both of them saw unemployment spike into double digits early in their presidencies. And both created jobs programs that brought down the percentage of people unemployed. Obama had a lesser spike than Reagan, and during the last 5 years unemployment rate fell faster than it did under Reagan. 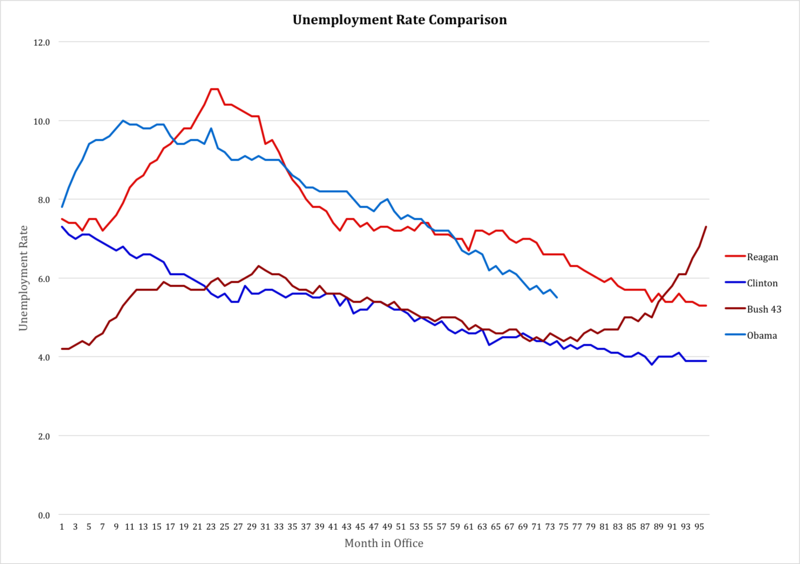 Both Democrats, Obama and Clinton, had big decreases in unemployment due to their policies. 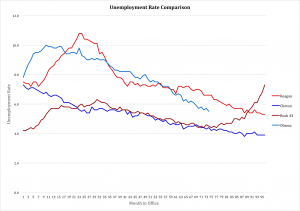 From peak to trough in this current administration unemployment has fallen by 5.5 percentage points, a decline of 81%. Clinton oversaw unemployment decline of 3.1 percentage points, or 73%. Both Democrats followed Bush Republican presidencies which had seen unemployment increase! During Bush 41 unemployment rose by 2 percentage points (5.4% to 7.3%,) and during Bush 43 unemployment nearly doubled from 4.2% to 8.3%. Not even the Carter presidency had unemployment increases anywhere close to the 12 years of Bush presidency. It is also worth noting that when comparing Obama and Reagan, Reagan undertook the largest increase in non-wartime deficit spending ever. He essentially used a form of “New Deal” debt spending on infrastructure and defense to stimulate jobs production. President Obama has been able to reduce the size of the annual deficit every year since taking office, in reality shrinking the amount of money spent by the government while simultaneously creating these new jobs. The only other president to accomplish this feat was Clinton, who actually balanced the budget during his presidency. We believe the economy is very strong, and along with other analysts think the jobs recovery will remain intact. With less war spending, lower oil prices, more people covered by insurance, and higher minimum wages consumers will continue to spend and the economy will grow. New technology products will bring more people into the workforce, and manufacturing will continue its renaissance. We expect that unemployment will continue falling toward 4.4% by summer of 2016, returning the economy to non-wartime full employment. AH: For years many talk show hosts and guests have been declaring that the Fed was flooding the markets with cash and setting the stage for rampant inflation which would ruin the dollar and the U.S. economy. But in the last few months the dollar has rallied to rates we haven’t seen since the 1990s. Did this surprise you, and do you think the dollar will remain strong? Bob Deitrick: We were not surprised. Ben Bernanke ranks right up there with the first ever Federal Reserve Chairman Marriner Eccles at knowing what to do to keep the American economy from collapsing in the wake of the country’s second depression. Only by re-inflating the economy with more cash, and keeping interest rates low, did America avoid a horrible repeat of the 1930s. As a result of Democratic policies America re-invested in growth, which allowed companies to invest in plant and equipment and create new jobs, while lowering the deficit. This happened simultaneously with opposite policies being implemented in Europe and Japan (so called “austerity”) which has caused their economies to weaken. And slowed demand from Europe has reduced growth rates in China and India, all leading global investors to return to the U.S. dollar as a safe haven. It is because of our economic strength that the dollar is returning to rates we have not seen since the Clinton presidency. Many people recall the huge increase in the dollar’s value toward the middle of the Reagan presidency. 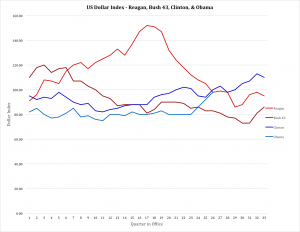 However, as the U.S. deficits, and total debt, skyrocketed the dollar plummeted. 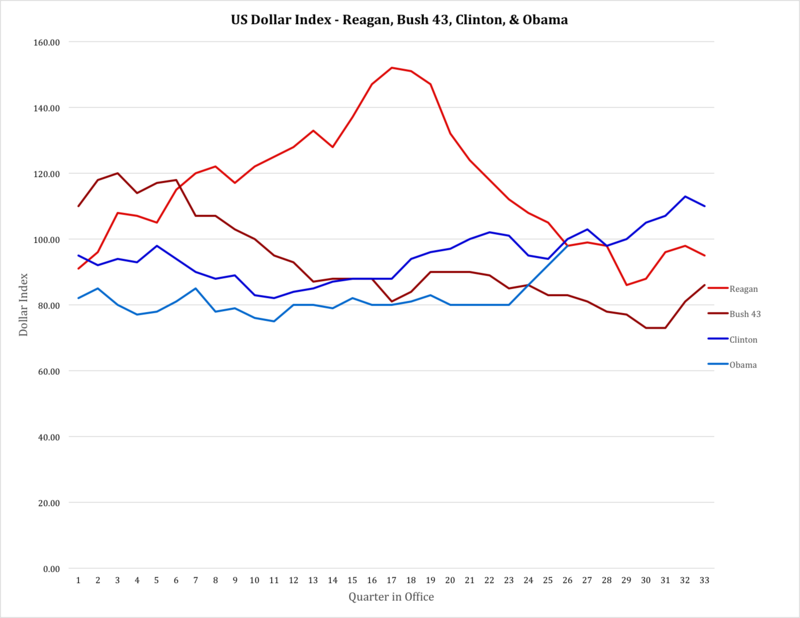 By the time Reagan left office the dollar was worth almost the same as when he entered office. And the combination of lower taxes plus costs for waging war in the middle east sent the U.S. debt exploding again under Bush 43. What had been a balanced budget under Clinton, which had pushed the dollar almost back to post-war highs, was destroyed causing the dollar to plummet 25%. The dollar is now up 21% against a basket of world currencies. Given ongoing European weakness and the never-ending fight over austerity we see no reason to think the Euro will make a comeback any time soon. Rather, we predict the strong U.S. economy, especially with oil prices likely to remain low (and priced in dollars,) the U.S. dollar will continue to rally. It could well go back to Clinton-era highs and possibly approach the values during Reagan’s presidency. Should this happen it would be a record improvement in the dollar by any modern administration. Bob Deitrick: I have voted for both Republicans and Democrats, and think of myself as a centrist. Most people, by definition, are centrists. I long believed that the GOP was the party which was best for the economy. But I could tell something wasn’t adding up during the Bush 43 presidency, so I chose to research the performance of both parties. The GOP has created an illusion that it is a better economic steward by promoting itself as the party with the better business acumen, frequently touting elected officials from business schools and with MBAs rather than law degrees. The GOP, and the media leaders who identify with the GOP, tell Americans every chance they can that Republicans are the party of financial acuity and have the policies to create economic prowess. Yet we found through our research that these claims were little more than myth. In the modern era, post Great Depression and with a strong Federal Reserve in place, Democratic administrations have been far better stewards of the economy and caretakers of the government’s wallet. 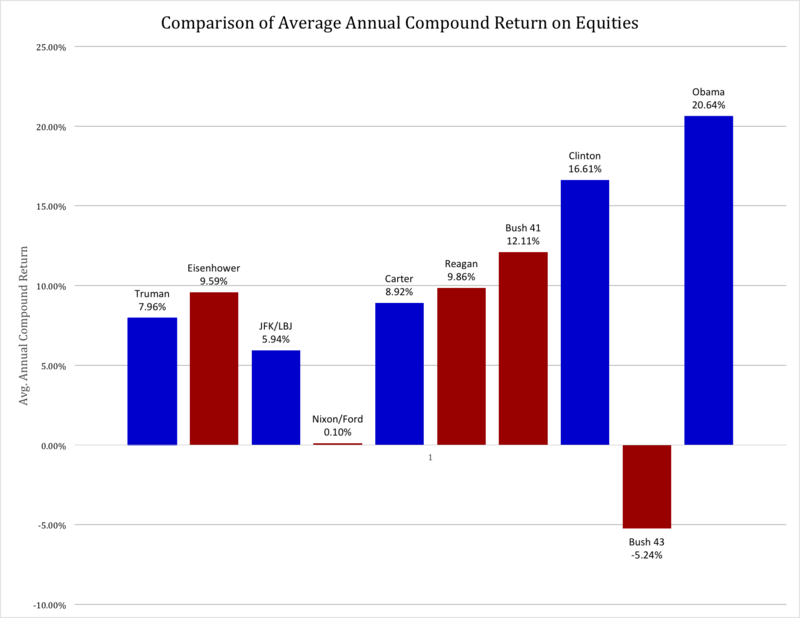 We have coached investors to be in this equity market, and remain long, since early in the Obama administration. We have continued to remain long, and coach investors that in our opinion this remains the best course. We see the economy growing due to a balanced approach to jobs creation, spending and taxation. Were there less partisanship, such as occurred during the Reagan era when the Democrat party controlled the Congress while Republicans controlled the administration, it might be possible for the economy to grow even more quickly. I’m a “Boomer,” and my generation could have been called the Coke generation. Our parents started every day with a cup of coffee, and they drank either coffee or water during the day. Most meals were accompanied by either water, or iced tea. But our generation loved Coca-Cola. Most of our parents limited our consumption, much to our frustration. Some parents practically refused to let the stuff in the house. In progressive homes as children we were usually only allowed one, or at most two, bottles per day. We chafed at the controls, and when we left home we started drinking the sweet cola as often as we could. It didn’t take long before we supplanted our parent’s morning coffee with a bottle of Coke (or Diet Coke in more modern times.) We seemingly could not get enough of the product, as bottle size soared from 8 ounces to 12 to 16 and then quarts and eventually 2 liters! Portion control was out the window as we created demand that seemed limitless. Meanwhile, Americans exported our #1 drink around the world. From 1970 onward Coke was THE iconic American brand. We saw ads of people drinking Coke in every imaginable country. International growth seemed boundless as people from China to India started consuming the irresistible brown beverage. My how things change. Last week Coke announced third quarter earnings, and they were down 14%. The CEO admitted he was struggling to find growth for the company as soda sales were flat. U.S. sales of carbonated beverages have been declining for a decade, and Coke has not developed a successful new product line – or market – to replace those declines. Coke is a victim of changing customer preferences. Once a company that helped define those preferences, and built the #1 brand globally, Coke’s leadership shifted from understanding customers and trends in order to build on those trends towards defending & extending sales of its historical product. Instead of innovating, leadership relied on promotion and tactics which had helped the brand grow 30 years ago. They kept to their old success formula as trends shifted the market into new directions. Coke began losing its relevancy. Trends moved in a new direction. Healthfulness led customers to decide they wanted a less calorie rich, nutritionally starved drink. And concerns grew over “artificial” products, such as sweeteners, leading customers away from even low calorie “diet” colas. Meanwhile, younger generations started turning to their own new brands. And not just drinks. Instead of holding a Coke, increasingly they hold an iPhone. Where once it was hip to hang out at the Coke machine, or the fountain stand, now people would rather hang out at a Starbucks or Peet’s Coffee. Where once Coke was identified and matched the aspirations of the fast growing Boomer class, now it is replaced with a Prada handbag or other accessory from an LVMH branded luxury product. Where once holding a Coke was a sign of being part of all that was good, now the product is largely passe. Trends have moved, and Coke didn’t. Coke leadership relied too much on its past, and failed to recognize that market shifts could affect even the #1 global brand. 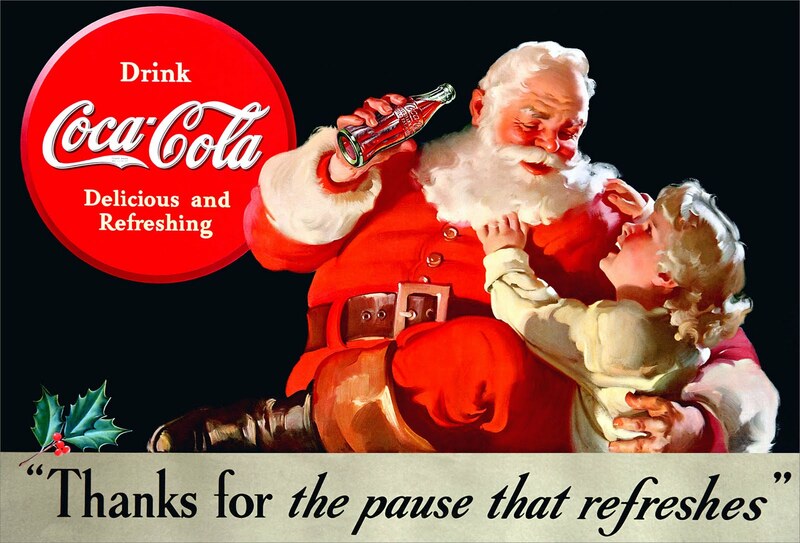 Coke leaders thought they would be forever relevant, just do more of what worked before. But they were wrong. Unfortunately, CEO Muhtar Kent announced a series of changes that will most likely further hurt the Coca-Cola company rather than help it. First, and foremost, like almost all CEOs facing an earnings problem the company will cut $3B in costs. The most short-term of short-term actions, which will do nothing to help the company find its way back toward being a prominent brand-leading icon. Cost cuts only further create a “hunker-down” mindset which causes managers to reduce risk, rather than look for breakthrough products and markets which could help the company regain lost ground. Cost cutting will only further cause remaining management to focus on defending the past business rather than finding a new future. Second, Coca-Cola will sell off its bottlers. Interestingly, in the 1980s CEO Roberto Goizueta famously bought up the distributorships, and made a fortune for the company doing so. By the year 2000 he was honored, along with Jack Welch of GE, as being one of the top 2 CEOs of the century for his ability to create shareholder value. But now the current CEO is selling the bottling operations – in order to raise cash. Once again, when leadership can’t run a business that makes money they often sell off assets to generate cash and make the company smaller – none of which benefits shareholders. Third, fire the Chief Marketing Officer. Of course, somebody has to be blamed! The guy who has done the most to bring Coca-Cola’s brand out of traditional advertising and promote it in an integrated manner across all media, including managing successful programs for the Olympics and World Cup, has to be held accountable. What’s missing in this action is that the big problem is leadership’s fixation with defending its Coke brand, rather than finding new growth businesses as the market moves away from carbonated soft drinks. And that is a problem that requires the CEO and his entire management team to step up their strategy efforts, not just fire the leader who has been updating the branding mechanisms. Coca-Cola needs a significant strategy shift. Leadership focused too long on its aging brands, without putting enough energy into identifying trends and figuring out how to remain relevant. Now, people care a lot less about Coke than they did. They care more about other brands, like Apple. Globally. Unless there is a major shift in Coke’s strategy the company will continue to weaken along with its primary brand. That market shift has already happened, and it won’t stop. For Coke to regain growth it needs a far different future which aligns with trends that now matter more to consumers. The company must bring forward products which excite people ,and with which they identify. 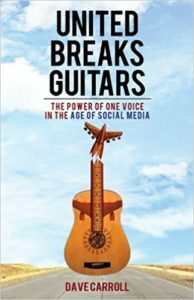 And Coke’s leaders must move much harder into understanding shifts in media consumption so they can make their new brands as visible to newer generations as TV made Coke visible to Boomers. Coke is far from a failed company, but after a decade of sales declines in its “core” business it is time leadership realizes takes this earnings announcement as a key indicator of the need to change. And not just simple things like costs. It must fundamentally change its strategy and markets or in another decade things will look far worse than today. Sony was once the leader in consumer electronics. A brand powerhouse who’s products commanded a premium price and were in every home. Trinitron color TVs, Walkman and Discman players, Vaio PCs. But Sony has lost money for all but one quarter across the last 6 years, and company leaders just admitted the company will lose over $2B this year and likely eliminate its dividend. McDonald’s created something we now call “fast food.” It was an unstoppable entity that hooked us consumers on products like the Big Mac, Quarter Pounder and Happy Meal. An entire generation was seemingly addicted to McDonald’s and raised their families on these products, with favorable delight for the ever cheery, clown-inspired spokesperson Ronald McDonald. But now McDonald’s has hit a growth stall, same-store sales are down and the Millenial generation has turned its nose up creating serious doubts about the company’s future. Radio Shack was the leader in electronics before we really had a consumer electronics category. When we still bought vacuum tubes to repair radios and TVs, home hobbyists built their own early versions of computers and video games worked by hooking them up to TVs (Atari, etc.) Radio Shack was the place to go. Now the company is one step from bankruptcy. Sears created the original non-store shopping capability with its famous catalogs. Sears went on to become a Dow Jones Industrial Average component company and the leading national general merchandise retailer with powerhouse brands like Kenmore, Diehard and Craftsman. Now Sears’ debt has been rated the lowest level junk, it hasn’t made a profit for 3 years and same store sales have declined while the number of stores has been cut dramatically. The company survives by taking loans from the private equity firm its Chairman controls. How in the world can companies be such successful pioneers, and end up in such trouble? Markets shift. Things in the world change. What was a brilliant business idea loses value as competitors enter the market, new technologies and solutions are created and customers find they prefer alternatives to your original success formula. These changed markets leave your company irrelevant – and eventually obsolete. Unfortunately, we’ve trained leaders over the last 60 years how to be operationally excellent. In 1960 America graduated about the same number of medical doctors, lawyers and MBAs from accredited, professional university programs. Today we still graduate about the same number of medical doctors every year. We graduate about 6 times as many lawyers (leading to lots of jokes about there being too many lawyers.) But we graduate a whopping 30 times as many MBAs. Business education skyrocketed, and it has become incredibly normal to see MBAs at all levels, and in all parts, of corporations. The output of that training has been a movement toward focusing on accounting, finance, cost management, supply chain management, automation — all things operational. We have trained a veritable legion of people in how to “do things better” in business, including how to measure costs and operations in order to make constant improvements in “the numbers.” Most leaders of publicly traded companies today have a background in finance, and can discuss the P&L and balance sheets of their companies in infinite detail. Management’s understanding of internal operations and how to improve them is vast, and the ability of leaders to focus an organization on improving internal metrics is higher than ever in history. But none of this matters when markets shift. When things outside the corporation happen that makes all that hard work, cost cutting, financial analysis and machination pretty much useless. Because today most customers don’t really care how well you make a color TV or physical music player, since they now do everything digitally using a mobile device. Nor do they care for high-fat and high-carb previously frozen food products which are consistently the same because they can find tastier, fresher, lighter alternatives. They don’t care about the details of what’s inside a consumer electronic product because they can buy a plethora of different products from a multitude of suppliers with the touch of a mobile device button. And they don’t care how your physical retail store is laid out and what store-branded merchandise is on the shelves because they can shop the entire world of products – and a vast array of retailers – and receive deep product reviews instantaneously, as well as immediate price and delivery information, from anywhere they carry their phone – 24×7. “Get the assumptions wrong, and nothing else matters” is often attributed to Peter Drucker. You’ve probably seen that phrase in at least one management, convention or motivational presentation over the last decade. For Sony, McDonald’s, Radio Shack and Sears the assumptions upon which their current businesses were built are no longer valid. The things that management assumed to be true when the companies were wildly profitable 2 or 3 decades ago are no longer true. And no matter how much leadership focuses on metrics, operational improvements and cost cutting – or even serving the remaining (if dwindling) current customers – the shift away from these companies’ offerings will not stop. Rather, that shift is accelerating. It has been 80 years since Harvard professor Joseph Schumpeter described “creative destruction” as the process in which new technologies obsolete the old, and the creativity of new competitors destroys the value of older companies. Unfortunately, not many CEOs are familiar with this concept. And even fewer ever think it will happen to them. Most continue to hope that if they just make a few more improvements their company won’t really become obsolete, and they can turn around their bad situation. For employees, suppliers and investors such hope is a weak foundation upon which to rely for jobs, revenues and returns. According to the management gurus at McKinsey, today the world population is getting older. Substantially so. Almost no major country will avoid population declines over next 20 years, due to low birth rates. Simultaneously, better healthcare is everywhere, and every population group is going to live a whole lot (I mean a WHOLE LOT) longer. Almost every product and process is becoming digitized, and any process which can be done via a computer will be done by a computer due to almost free computation. Global communication already is free, and the bandwidth won’t stop growing. Secrets will become almost impossible to keep; transparency will be the norm. These trends matter. To every single business. And many of these trends are making immediate impacts in 2015. All will make a meaningful impact on practically every single business by 2020. And these trends change the assumptions upon which every business – certainly every business founded prior to 2000 – demonstrably. Are you changing your assumptions, and your business, to compete in the future? If not, you could soon look at your results and see what the leaders at Sony, McDonald’s, Radio Shack and Sears are seeing today. That would be a shame. Like Sbarro, Will You Be the Next Domino to Fall? Understanding trends is the most important part of planning. Yet, most business planning focuses on internal operations and how to improve them, usually neglecting trends and changes in the external environment that threaten not only sales and profits but the business’ very existence. Take Sbarro’s recent bankruptcy. That was easy to predict, especially since it’s the second time down for the restaurant chain. You have to wonder why leadership didn’t do something different to avoid this fate. Thousands of retail stores will close in 2014. It should surprise no one that physical retail traffic has been in dramatic decline. Large malls are shutting down, and being destroyed, as the old “anchor tenants” like Sears and JC Penney flail. Over 200 large malls (over 250,000 square feet) have vacancy rates exceeding 35%. Retail rental prices keep declining as the overbuilt, or under-demolished, retail square footage supply exceeds demand. Business planning is about defending and extending the past. Given this publicly available information, you would think a company with most of its revenue tightly linked to traditional retail would —- well —- change. Yet, Sbarro stuck with its business of offering low cost food to mall shoppers. Its leaders continued focusing on defending & extending its old business, improving operations, while trends are clearly killing the business. Almost all business planning efforts begin by looking at recent history. Planning processes starts with a host of assumptions about the business as it has been, and then try projecting those assumptions forward. Sbarro began when malls were growing, and its plans were built on the assumption that malls thrive. Now malls are dying, but that is not even part of planning for the future. Planning remains fixated on execution of a strategy that is no longer viable . No one can “fix” Sbarro – they have to change it. Radically. And that means planning for a future which looks nothing like the past. Planning needs to start by looking at trends, and developing future scenarios about what customers need. Regardless of what the business did in the past. Planning should be about understanding trends and developing future scenarios. For all businesses the important planning information is not sales, sales per store, product line offerings, cost of goods sold, labor cost, gross margin, rents, cleanliness scores, safety record, location, etc., etc. The important information is in marketplace trends. 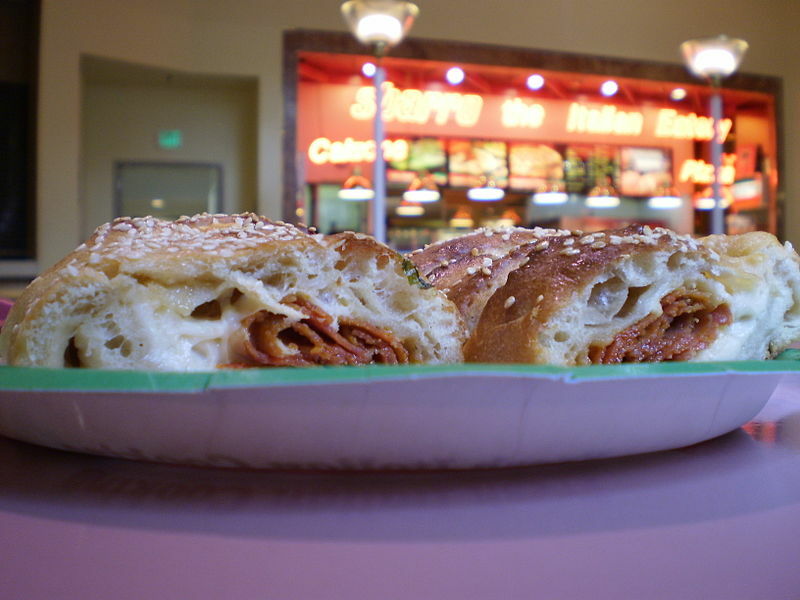 For Sbarro, what will be dining trends in the future? What kind of restaurant experience do people want not only in 2014, but in 2020? Or should the company move toward delivery? At-home food preparation? Success only happens when we understand trends and build our business to deliver what people want in the future. The world moves very fast these days. Technologies, styles, fashions, tastes, regulations, prices, capabilities and behaviors all change very quickly. Tomorrow is far less likely to look like today than to look, in important ways, remarkably different. Plan for the future, not from the past. To succeed in today’s fast changing environment requires we plan for the future, not from the past. We have to understand trends, and create keen vision about what customers will want in the future so we can steer our business in the right direction. Before we even discuss execution we have to make sure we are going to give customers what they want – which will be aligned with trends. Otherwise, you can have the best run operation in the country and still end up like Sbarro. Connect with me on LinkedIn, Facebook and Twitter.